In a military career spanning 22 years, Speirs has been lauded as a hero, embroiled in controversy and celebrated in both print and TV. This website looks at the real man behind the reputation. From D Day to Laos to the Pentagon – Speirs’ military career spanned more than two decades. Discover what really happened based on historical records and first hand accounts. the man and his reputation. Ronald spent just four short years in Scotland, where he was born, before following his father to America. Here we tell the story of Speirs’ early life, marriages and his only child – a son. Ronald Speirs was an American United States Army Officer who served with the US 506th Parachute Infantry Regiment, 101st Airborne Division “Screaming Eagles” during World War II. On 6th June, 1944 he played a part in the early morning D-Day American airborne landings as part of Operation Neptune. These landings were the first US combat operation during Operation Overlord by the Allied Forces in Normandy. Later he fought in Operation Market Garden in Holland and at the Battle of the Bulge in Bastogne, during which he was reassigned as Commanding Officer of Easy Company. In the final few months of WWII, Speirs and Easy Company were assigned occupation duty at Berchtesgaden in the German Bavarian Alps, home to the famous Eagle’s Nest. Speirs remained in the Army when the war was over which lead to an extensive military career spanning more than 20 years. He saw combat in Korea, commanding a rifle company in the 187th Airborne Regimental Combat Team. Later, he served as an American foreign liaison intelligence officer and was the American Director of Spandau Prison. He was also the US American military Senior Advisor to the Royal Lao Army. His final assignment was in the Planning and Policy Division at the Pentagon, Washington DC. He retired from the military in 1964 after 22 years in active duty. 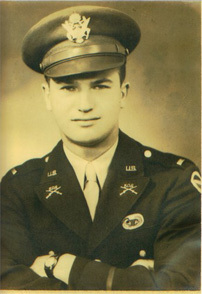 Ronald Speirs became known to a wider audience with the publication of Stephen Ambrose’s book “Band of Brothers” and the subsequent HBO TV mini-series of the same name.